uCodeGirl is trying to change a little-known fact: that girls tend not to even attempt a course of study or career in technology. Which is pretty shocking, considering how many years we’ve been pushing the feminist narrative. Betty Gronneberg, founder of uCodeGirl, the newest Kars4Kids small grant recipient, is not to content to leave things this way, because someone was not content to leave her on her chosen path of study, and pushed her instead, to try for something more. Gronneberg was a second year college student in Ethiopia, pursuing a degree in statistics when an opportunity, one not sought, was handed to her: to take part in the first ever computer science degree program. The crazy thing? She’d never even touched a computer before. It was hard, grueling, but somehow she made it through. So much so that she ended up with an M.S. degree in Software Engineering and is a career veteran of 23 plus years in software development. Gronneberg believes with a passion that many more girls would study and pursue a career in technology with a bit of encouragement to spur them on, and she sees great value in this. Well, of course she does: most jobs, going forward, are going to involve technology. Want a job?? Get with the times. To that end, uCodeGirl works to encourage sparks of technological talent and curiosity in girls and get them happening on the road to exploring an academic or career track in technology. Gronneberg has enlisted the services of an impressive roster of mentors, to ensure that happens. 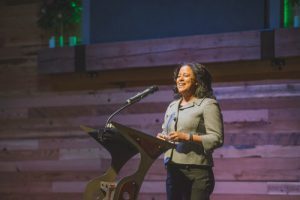 uCodeGirl has people like Microsoft Partner Development Manager Tanya Beutler; Flint Senior Vice President of Client Service Kimberly Wold Janke; and Assistant Professor Faith Ngunjiri of Concordia College volunteering their time to spur the girls ever onward. Betty Gronneberg: At uCodeGirl, we believe girls are curious, capable and creative. When they are confident in their abilities and are prepared with the knowledge and skills they need, they can become leaders in whatever fields they choose. However, studies reveal that girls’ attraction to STEM centered activities decreases in middle school as they react to social pressures, lack of role models and gender stereotypes. The research also shows the confidence gap starts early. Young women often feel shy or insecure, particularly when it comes to subjects like coding, robotics and engineering, which are often already male-dominated. This means girls are missing out on developing skills that are critical in our new digital economy—and can be at a disadvantage when they graduate. Kars4Kids: How do girls find their way to uCodeGirl, if girls aren’t pursuing this avenue in their studies? Kars4Kids: How long did it take you to fall in love with coding, as a young woman in Ethiopia, completely new to working with computers? Betty Gronneberg: I was intrigued and smitten right away as I tend to be naturally curious in exploring uncharted territory. This one was one big unknown. It was scary at first and a lot of trial and error along the way, but the journey well worth a travel. 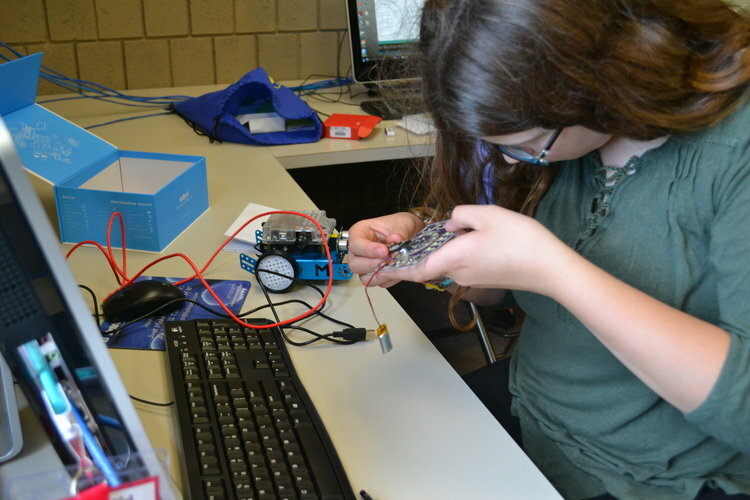 Kars4Kids: What are some of the reasons a girl should learn to code? Betty Gronneberg: As our world becomes ever-more reliant on super computers and smart technologies, the partnership of human and machines to creatively solve real-world problems and gain adaptive knowledge is critical. There is a case for Computer Science to be offered as a foundational knowledge in school as is Arithmetic, English or Biology. Regardless of one’s career choice from Architecture or Zoology, computational design thinking and entrepreneurial abilities helps the mind to think critically, solve complex problem by breaking it down into small pieces, recognize pattern, working collaboratively, and etc. We need problem solvers and creators of future solutions. Coding is for everyone to learn. Learning to code doesn’t need to necessarily lead to a software development position, just like learning to write doesn’t make you an author or professional writer — same as learning arithmetic won’t put you on a path to become a professional mathematician. But everyone who learn these skills will be immensely better off as a result of their efforts. 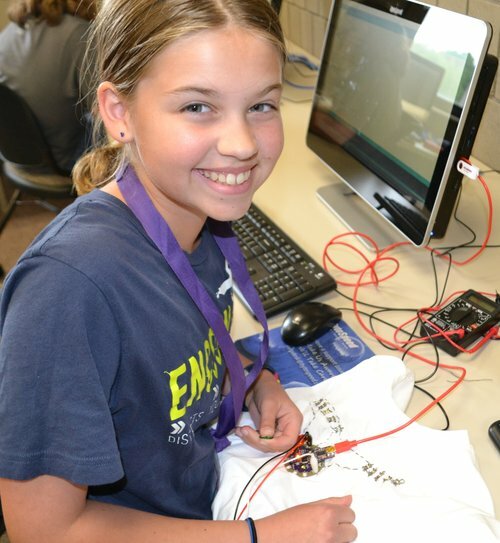 Our purpose is to create awareness of the vast and untapped opportunities in the tech industry, spark a girl’s creative and curious side through enrichment programs and provide support and guidance so that the girls can find their highest best use at the intersection of what they are good at, what they love to do, and what the world needs. Kars4Kids: Your website cites the National Center for Women and IT, “Tech companies with more women in management have a 34% higher return of investment.” What is the takeaway from this statistic? Kars4Kids: The caliber of mentors at uCodeGirl is truly impressive. Is there a minimum time commitment for becoming a uCodeGirl mentor? 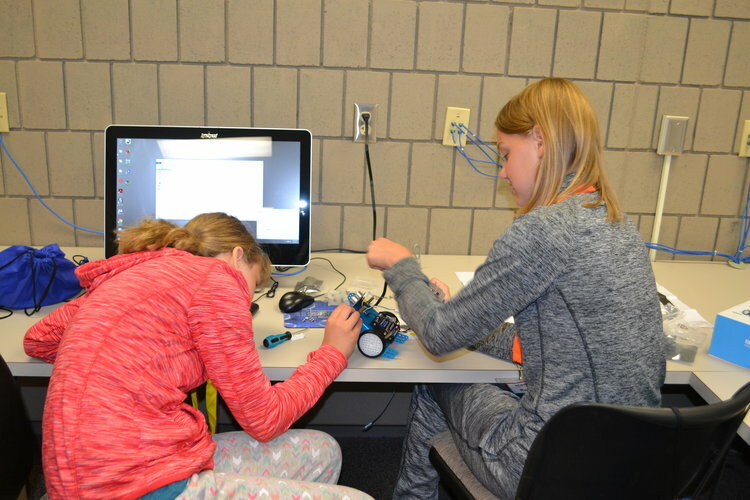 Betty Gronneberg: Early access to visible role models as mentors to help support girls and serve as a guide around the diverse opportunities in STEM means girls can confidently choose to be on a crucial path to succeed in rewarding and high-paying tech careers. Our mentors are committed to providing the resources and time it takes to help achieve that. And that is not determined according to a finite set of time. Kars4Kids: uCodeGirl, in addition to coding, teaches leadership skills and helps girls to develop an entrepreneurial mindset. What is your hope in offering this twin track of skills to young girls? Betty Gronneberg: We are an enrichment program focused on incubating talents to prepare young women for a future-ready workforce through leadership and computing (technical) skills as well as an entrepreneurial mindset. The three legs of our work are uLeadGirl, uCodeGirl, and uInnovateGirl. We want young women to be the authors of their lives, creators of solutions to real-world problems using technology. To be the driving force of innovation and leadership in tech rather than just be a mere consumer of it. Kars4Kids: What sorts of apps have the girls in your programs created? Betty Gronneberg: The girls have created various prototype apps such as StudySaver, Find My Car, and Share a Ride. They have created a fun project at the intersection of art, electrical circuitry and coding to create scarves and t-shirts that respond to your heartbeat and light up accordingly. Kars4Kids: What’s next for uCodeGirl? We will continue on our journey of inspiration and empowerment with uLeadGirl, uCodeGirl, and uInnovate girl under the umbrella of uCodeGirl, the organization. Increasing impact and deepening our commitment as we forge partnerships is what is next for uCodeGirl.